Gerberas are daisy-like blooms that grow up to 5 inches wide with layers of thin petals. Flowers of different colors attract the attention of everyone. 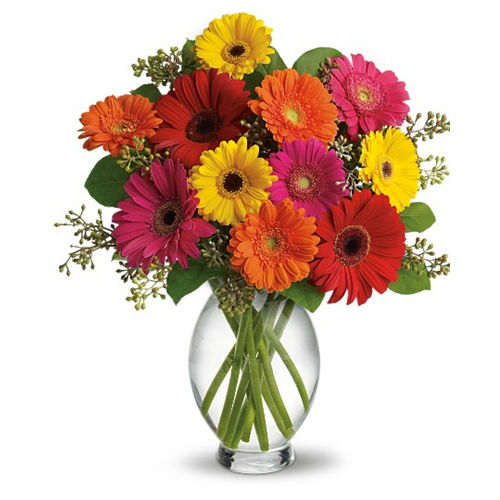 For all the floral enthusiasts, this bunch of one dozen colorful Gerberas is a perfect gift. The flowers are placed in a glass vase and adorned with green leaves that attract many eyeballs.